The Philippine Fashion Week started last weekend and opening the week long festivities is Philippines' best retail store, Bench. I probably have a lot of Bench items in my closet, from jeans, shirts, bags, socks and even underwear. I bought them not because they cost cheap but these items are classic staples that will last me for seasons to come. I mean, who can say no to a perfectly dark denims and stripey socks, right? 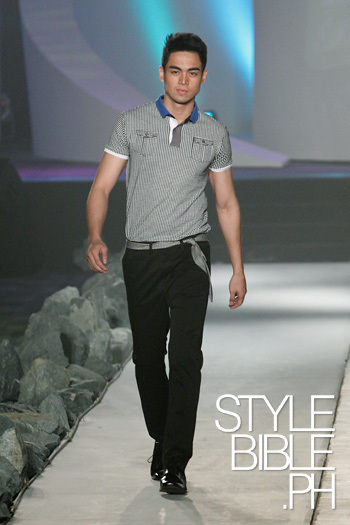 The show started with Filipino top designer, Randy Ortiz.. For more information, click! And here are the photos. Bench is also known for putting celebrities and personalities as endorsers. A handful of them walked the runway as well. One of them is Isabelle Daza (pictured above) in a Randy Ortiz for Bench jumpsuit. 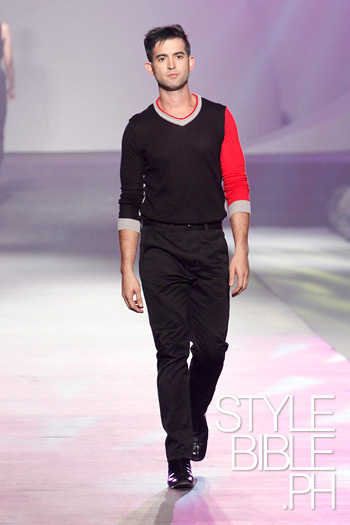 The colors featured were blacks and grays with a pop of red here and there, as the sweater above. I love this gray sweater with a sole black sleeve. Jumpsuits are really catching on. But can normal women actually wear this out? I guess some women will choose fashion first than comfort. Did you guys know that gray is my favorite color? 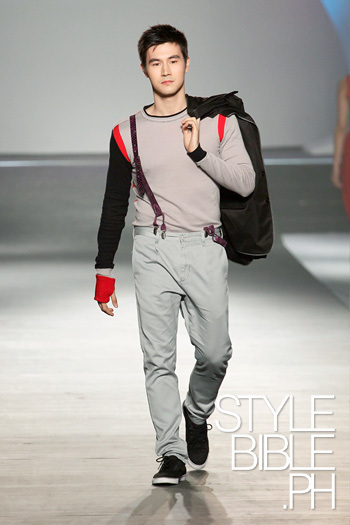 Bench is also known for their underwear and Part Two was a presentation for Bench Body. Part Three would be the Spring Summer Collection 2012. Borgy Manotoc and Georgina Wilson opened that part to cheers and hollers. Nicely done! 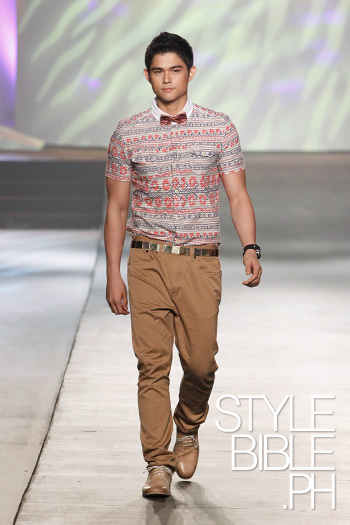 Printed shirt paired with summer staple khakis. Did you guys know that gray is my favorite color? I guess you know that now. 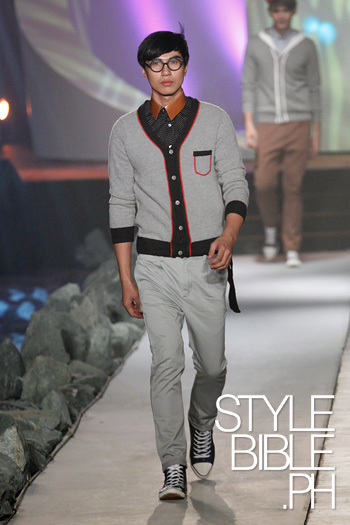 All photos were from Stylebible.ph. Head on to that link for more information.